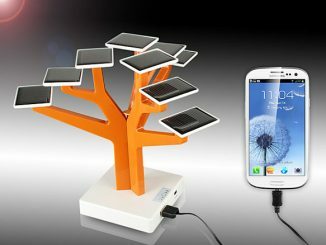 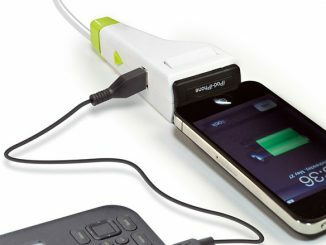 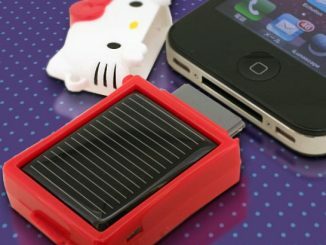 The 2-USB-Ports Multi-Solar Charger ($59) can charge two devices at the same and be recharged by sunlight. 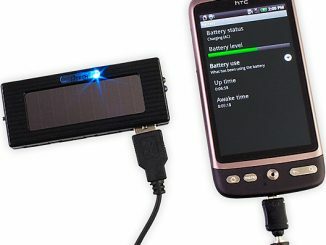 In case you happen to run out of sunlight there’s always the options to use AC or car power. 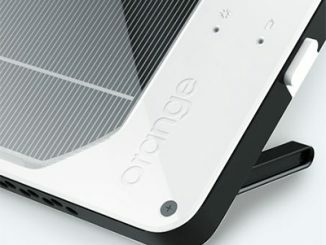 To fully recharge the device with sunlight will take about 5 to 8 hours, depending on the intensity of the light. 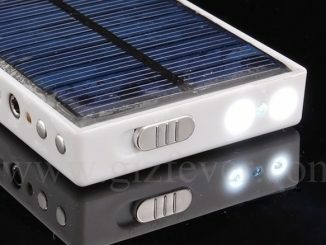 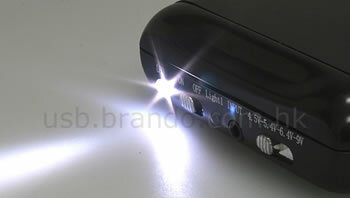 The Multi-Solar Charger is also equipped with a bright white LED flashlight. 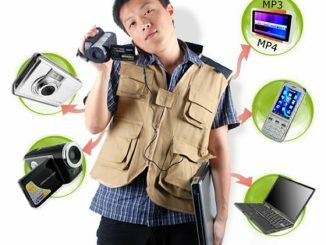 This vest, described as a “fusion of fashion and technology”, allows you to make sure that all of your precious gadgets are fully charge when you are on the move. 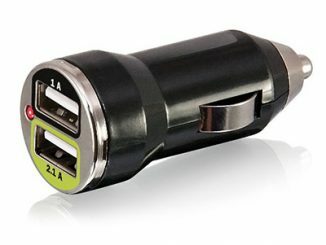 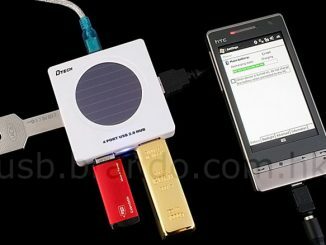 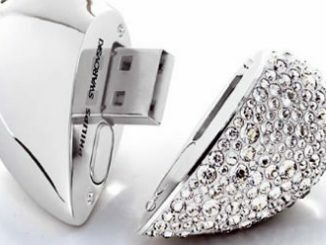 This solar powered (you also have the option to charge it using a USB cable or A/C adapter) keychain makes sure you’re never without batteries for portable devices like mobile phones, PDAs, MP3 players etc. 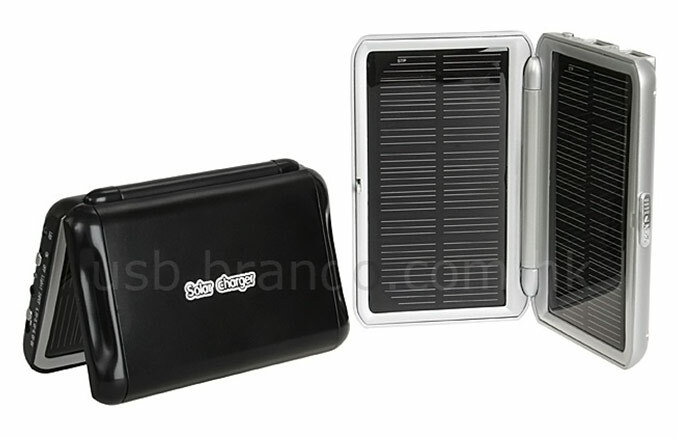 This portable charger uses solar energy to allow you to charge your mobile phone, digital camera, PDA, MP3 player or other handheld device.